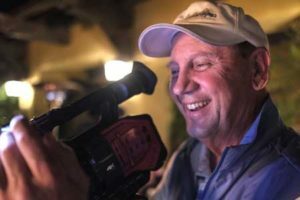 VideoStream Productions owner and creative force Jamie McWilliams is the award-winning producer/director of “The Traveling Golfer” television program, syndicated on NBC Sports. Additional projects include promotional and marketing programs in the golf industry. Jamie previously worked as a producer for NFL Films and as an on-air television sports director. Some of his high-profile broadcast projects have included features for NBC Sports, Newsweek and Home Box Office, as well as Super Bowl, Kentucky Derby and Major League Baseball specials for the USA Network. Jamie’s non-broadcast projects include high-end award-winning marketing, training, and promotional programming for major corporations and national associations in the pharmaceutical, energy, telecommunications, and sports and recreation industries. In addition to creative, VideoStream offers technical services in both field and post production, and provides everything from concept to project completion.